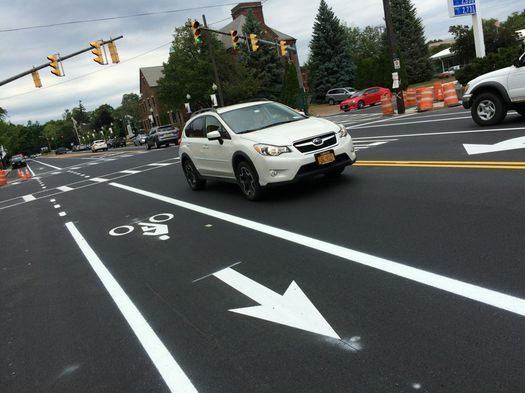 Continuing the transformation of Madison Avenue into a complete street and consistent with the theme developed publicly during Phase 1, the City of Albany is now progressing Phase 2 of the project to add bike lanes, improve transit stops, and improve pedestrian accommodations on this important City Street. During this public information meeting, project representatives will provide information about the Phase 2 scope and schedule, and address questions during a brief Q&A period. 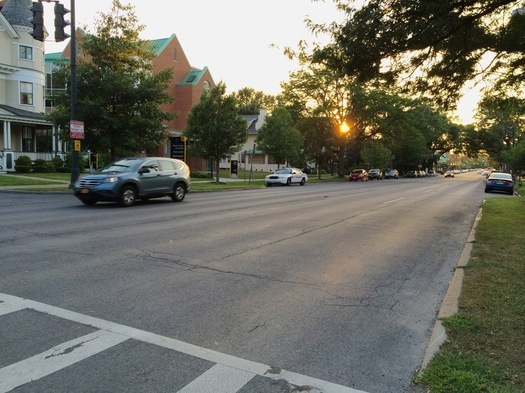 Similar to Phase 1, Phase 2 proposes to reduce the number of travel lanes in the corridor from four lanes to three, upgrade traffic signals, provide signal coordination for motorists, and provide improved accommodations for non-motorized users in the corridor. 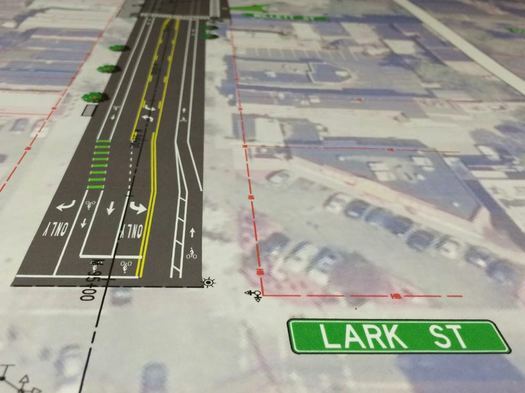 This next phase will cover the stretch from Partridge Street to Lark Street. 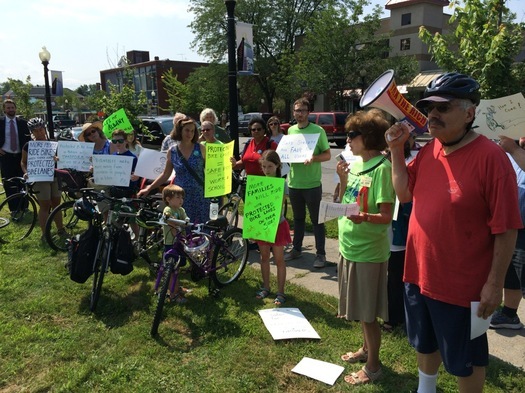 The lead up to the road diet prompted a lot of discussion -- from cycling advocates, from businesses expressing concerns about parking, from people who just had a hard time believing that reducing the number of travel lanes wouldn't create traffic problems. 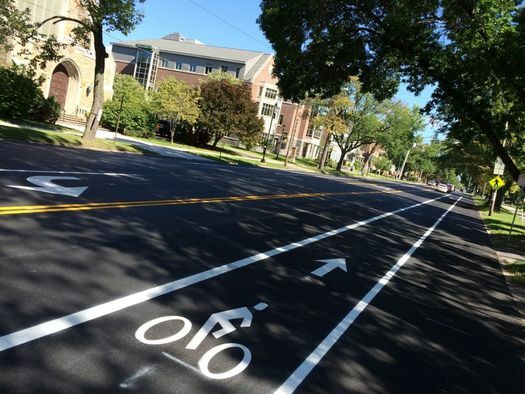 And when that first phase -- from Allen Street to Partridge -- was reconfigured, it set off a whole new flurry of comments and criticism, with city officials calling for people to be patient and adjust. 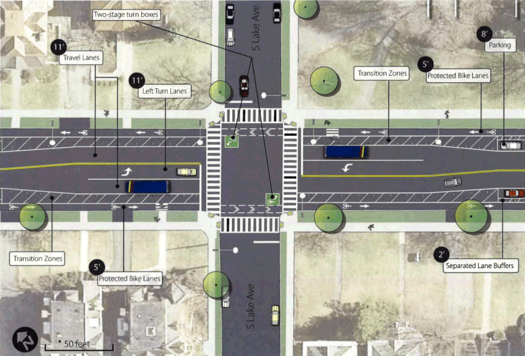 And as we mentioned last year, this project is a test of the road diet concept. 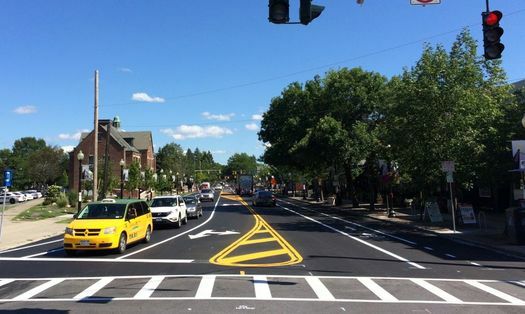 If it works out, it's not hard to see other streets getting a similar treatment. 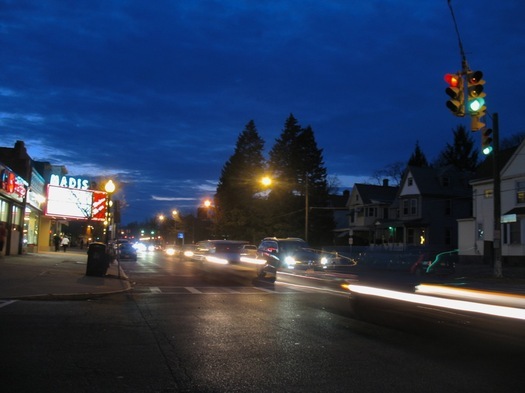 The public meeting is Thursday, April 6 at 6 pm at the College of Saint Rose's Touhey Forum (Lally School of Education building, 1009 Madison Ave). 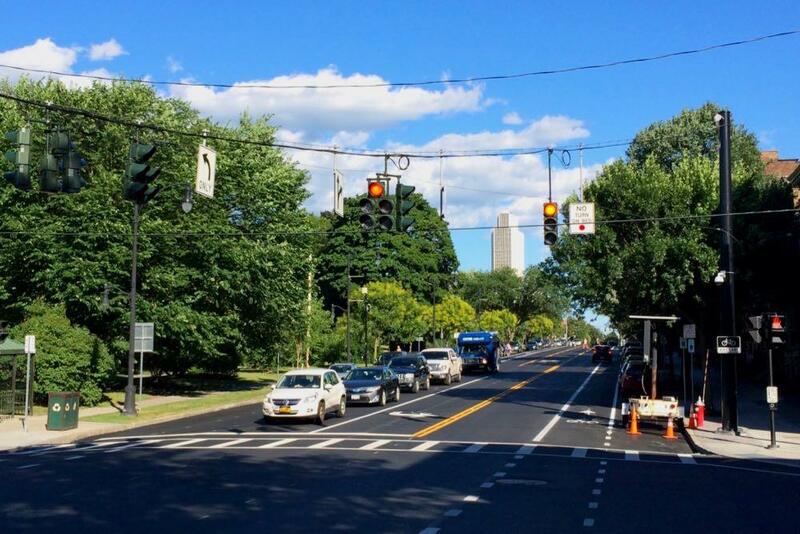 $770,000 for a Capital District Transportation Authority project to reconfigure a one-block section of Washington Avenue in Albany between Lark Street and Dove Street to enhance safety for pedestrians, transit riders and motorists. 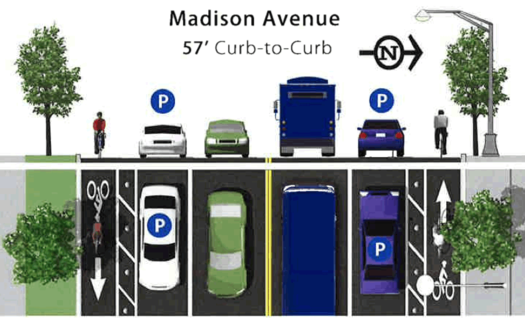 The project will construct a travel lane exclusively for westbound left turns, consolidate six heavily used transit stops, provide a signalized, mid-block pedestrian crossing and extend curbs and revise parking to reduce speeds and traffic congestion. 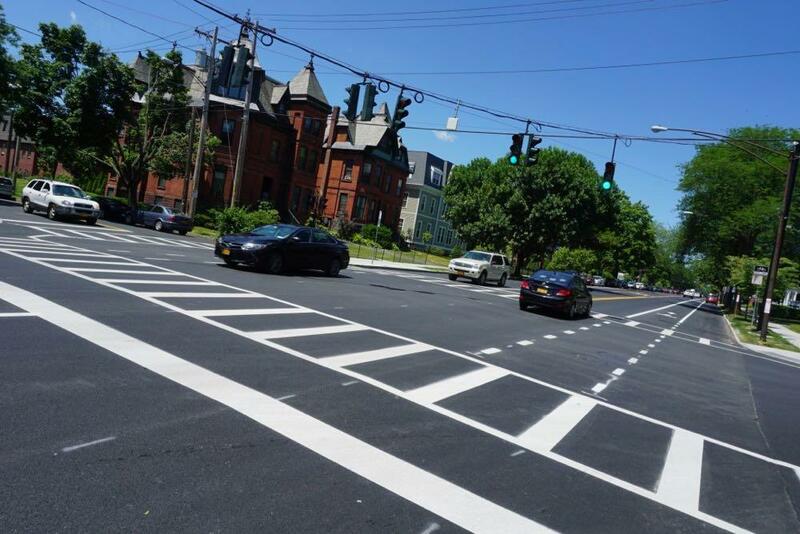 Info about the rest of the Capital Region projects getting money via this program is after the jump -- items include the rest of the Madison Ave Road Diet and improvements along Brandywine Ave in Schenectady. 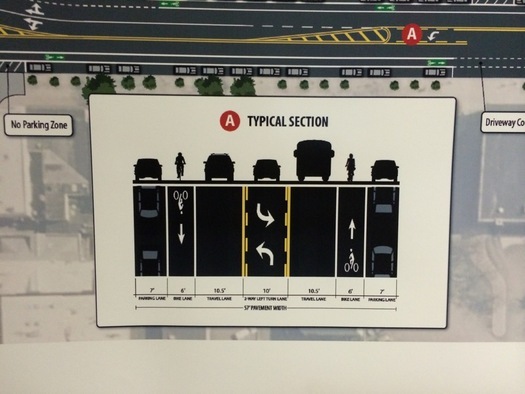 Also: Apparently the technical term for a rumble strip is "Milled-In Audible Roadway Delineators."